With each new advance in connectivity and convenience comes a new wave of threats to privacy and security that are capable of destroying a company’s reputation, violating a consumer’s privacy, compromising intellectual property, and in some cases endangering personal safety. This is why it is essential for security professionals to stay current on the latest advances in technology and the new security threats they create. Recognized as one of the best tools available for the information security professional and especially for candidates studying for the (ISC)² CISSP examination, the Official (ISC)²® Guide to the CISSP® CBK®, Third Edition is both up-to-date and relevant, reflecting the latest developments in this ever-changing field and providing an intuitive approach to the CISSP Common Body of Knowledge (CBK). 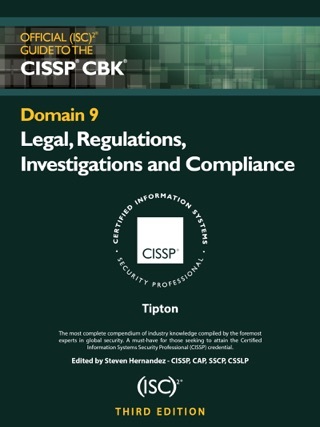 It provides a robust and comprehensive study of the 10 domains of the CBK, which covers everything from access controls and cryptography to operations security and physical (environmental) security. Within the sub-topics of these domains, the book discusses the issues facing security professionals today, such as mobile security, cloud computing, risk management and more. Numerous illustrated examples and practical exercises are included in this book to help the reader understand the concepts within the CBK and be able to apply them in real-life situations. 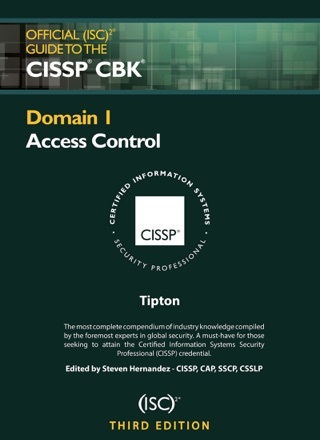 Endorsed by (ISC)² and compiled and reviewed by CISSPs and (ISC)² members, this book provides unrivaled preparation for the certification exam and a reference that will serve you well into your career. 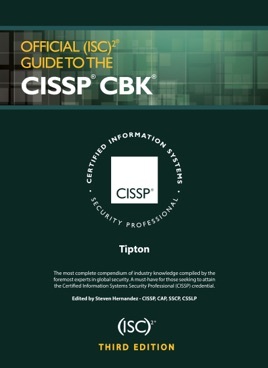 Earning your CISSP is a venerable achievement that enables you to convey proficiency in an ever advancing industry, and provides you with membership to an elite network of professionals.